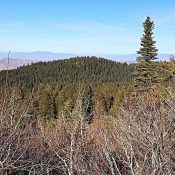 This forested peak is located northwest of Dry Buck Mountain. Peak 6323’s summit is reached after a short climb from Forest Service (FS) road 643, which traverses the peak’s southern and and western slopes. The summit area is tree covered and does not have a great view. 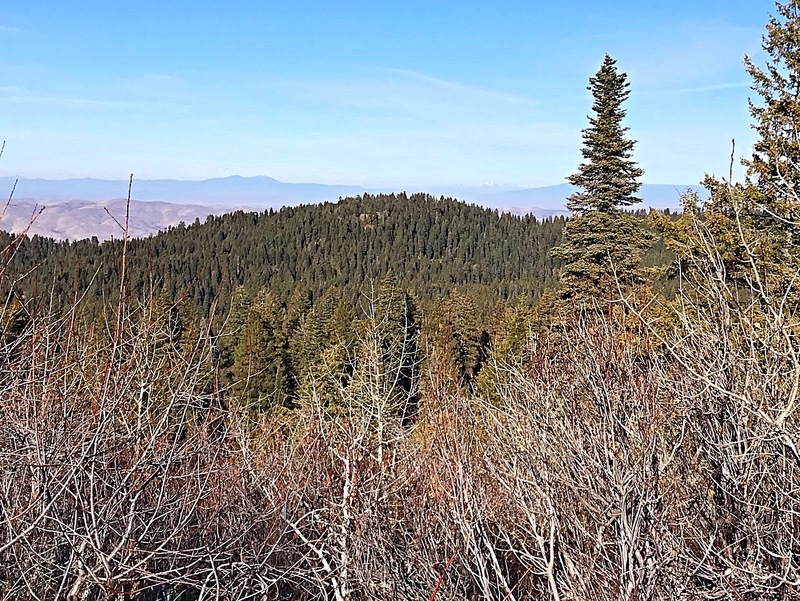 Because the peak was logged in the past, both new and old growth ponderosa pine populate its slopes. Peak 6323 viewed from Dry Buck Mountain. Use the Dry Buck Mountain access to reach Dry Buck summit. From this summit, drive west and then north on FS-643 to the west side of the mountain. 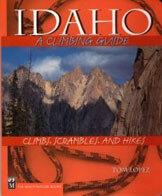 The only obstacle that you will encounter on your way to the summit is a bit of brush. The GPS track, shown below, marks my route. 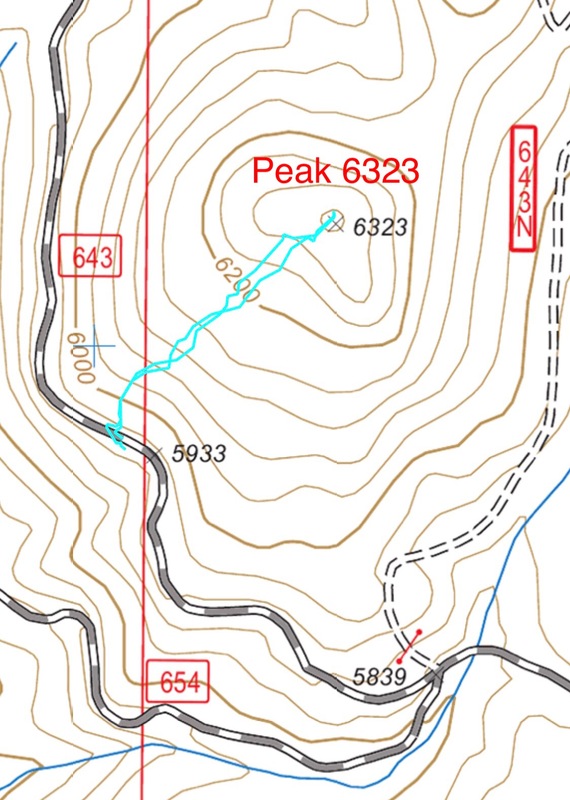 However, Peak 6323 can be climbed from any starting spot along FS-643. The line we climbed had less brush than the slopes farther to the south. My GPS track. This climb covered 0.7 miles round trip with 339 feet of elevation gain.